Bellmore, New York, USA. 11th August 2017. 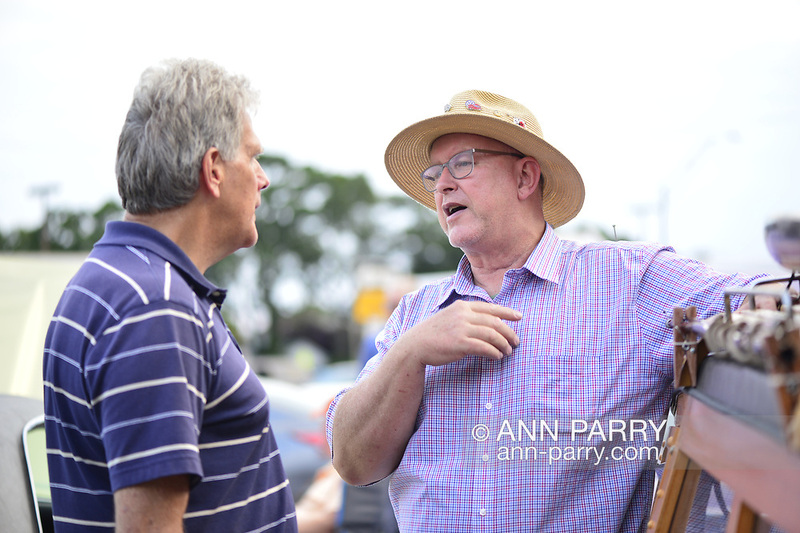 At right, MIKE RADOMSKI, of Valley Stream, owner of 1967 Wunderbug Volkswagen, and BRYAN RICHHEIMER, of Vermont, chat at Bellmore Friday Night Car Show.